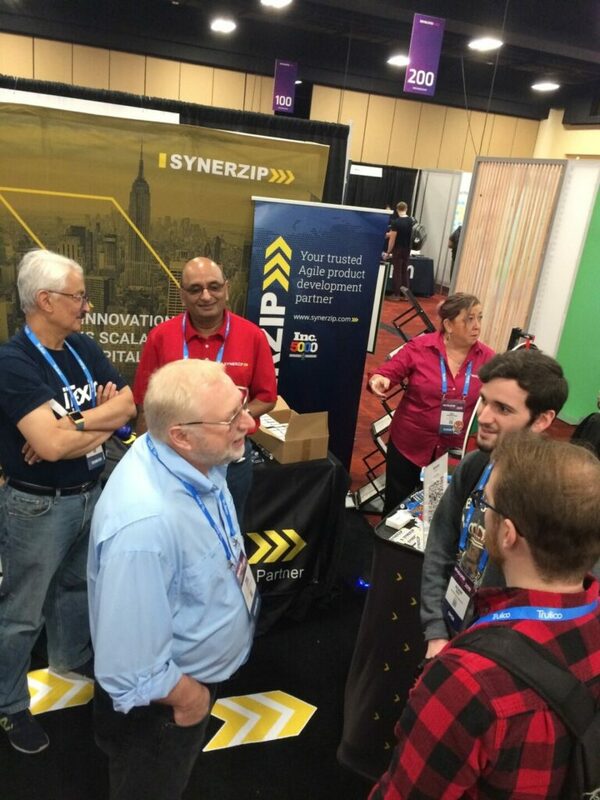 Synerzip sponsored DeveloperWeek 2019 at the Oakland Convention Center in Oakland, CA. Our booth was constantly buzzing. Our spinner wheel attracted many visitors as we gave away cool socks, phone chargers, chapsticks and laptop stickers. Plus, our new partners at iTexico joined us for booth-duty. They enable us to offer Mexico-based software development teams. DeveloperWeek 2019 is the world’s largest developer expo and conference series with over 8,000 participants across the conference, expo, hackathon, hiring mixer and city-wide partner events. Our greatest highlight of the Conference was our own VP of Engineering, Mike Watson’s talk “Agile Enough – Applying Agile in a Traditional Product Management Environment“. The Hall was standing room only! Mike will be presenting this same session during an upcoming webinar in April. Join us at the next Conference – deliver:Agile 2019 in Nashville.